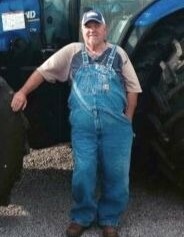 David Alan Ausbrooks, 60, of Adolphus, KY passed away Thursday, January 31, 2019 at his residence. The Scottsville, KY native was a farmer and attended Beech Grove General Baptist Church. He was a son of the late Kenneth Lee Ausbrooks and Joyce Ausbrooks Mayhew, who survives, and husband of the late Maedean England Ausbrooks. Several nieces, nephews, great nieces and great nephews. He was preceded in death by a son: Daniel Alan Ausbrooks. Funeral service will be 2:00 p.m. Sunday at Goad Funeral Home with Bro. Lawrence Gilliam, Bro. Charlie Ausbrooks and Bro. Taylor Landers officiating and burial in Mt. Olive Cemetery with Bro. Eddie Ausbrooks and Bro. Joey Ausbrooks officiating. Visitation will be 5:00 p.m. to 8:00 p.m. Friday, 7:00 a.m. to 8:00 p.m. Saturday and after 8:00 a.m. til funeral time Sunday at Goad Funeral Home.